In our modern age, transparency is paramount. 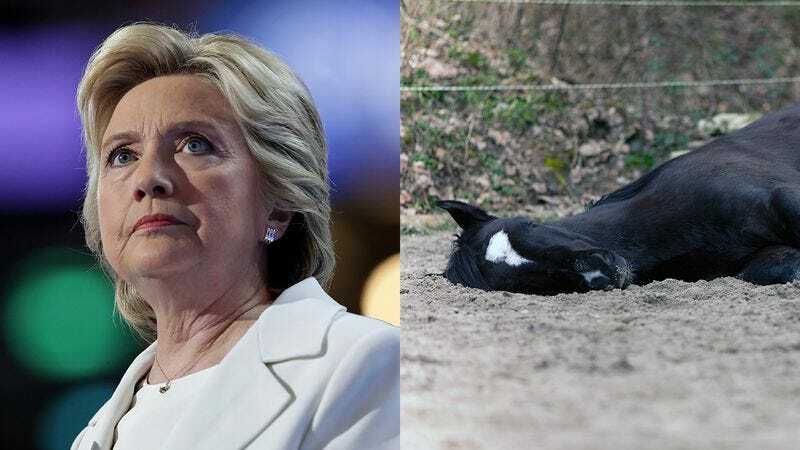 I am committed to creating a world where information is shared, not hidden, so here are several emails I sent to Hillary Clinton when I first noticed my horse was ill.
1. This is the email that started it all. I am posting it here for the world to see. 2. John Adams once wrote, “Liberty cannot be preserved without a general knowledge among the people, who have a right and a desire to know.” In that spirit, I cast this email into the public domain. 3. I cannot speak to the contents of Hillary’s other emails. But I can tell you that my horse emails are seven among them. 4. The walls are coming down. 5. I have nothing to hide. 6. This was intended to be a private moment, but you have a right to know that it happened. 7. The Secretary of State was informed about my sick horse. Now, the American people have also been informed. Late is better than never.